Power-up in retro style! Enjoy the perfect start to every day and never be late for your next adventure with this ultra-cool PAC-MAN Arcade Alarm Clock! 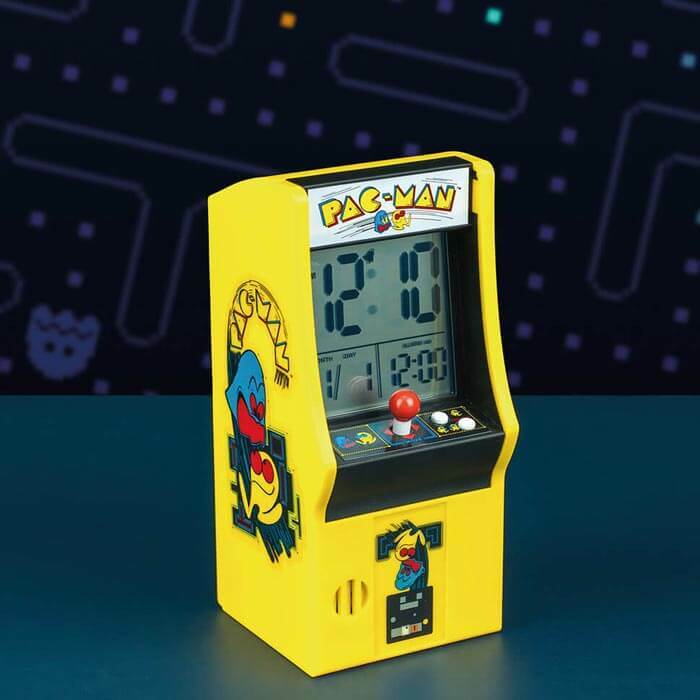 A battery powered alarm clock designed like an iconic PAC-MAN themed arcade machine. 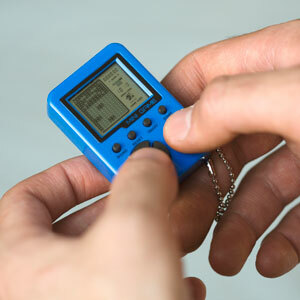 The alarm clock features time and date display and plays original PAC-MAN gameplay sounds. PAC-MAN was one of the most influential arcade game of the 1980s. Featuring the iconic pizza shaped hero (based on the Japanese character for mouth), the game established the trend for a mascot led gaming franchise, and the character soon became an instantly recognizable icon of popular culture. 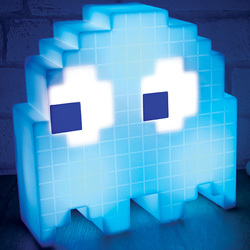 A great gift for PAC-MAN fans and gamers!